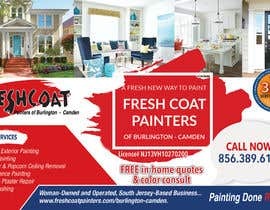 Looking for a very creative ad for a woman owned residential and commercial painting company. Need it to have a spring/summer feel to it. 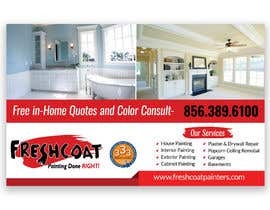 this ad is being printed in a high end House and Home magazine that caters to US homeowners with home values at $500,000 and above. It must be very classy and highly professional looking. Feel free to use eye-catching photos and other illustrations. 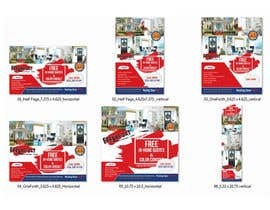 I will need the ad in the following sizes: a) 1/2 page 7.375" x 4.625" vertical and horizontal b) 1/4 page 3.625" x 4.625" vertical and horizontal c) 10.75" x 10.5" horizontal and 5.32" x 20.75" vertical. 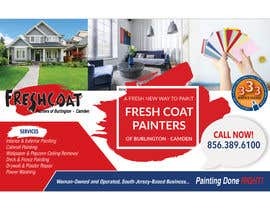 Be creative but you must use the logos and make sure that the license# NJ13VH10270200 is printed on every ad and that I'm a woman owned business. the business number is 856.389.6100 and [login to view URL] Please make sure that you read the instructions carefully. Hi Sir company Name ?